Art Galleries provide a helpful role between the artist and the client; delivering art that stimulates. My paintings are represented by a number of select art galleries and exhibition curators in the United Kingdom. If you are interested in visiting any of the art galleries that represent my work, please click or tap on the relevant gallery image below to find out further information about each gallery and which paintings are currently in stock at each gallery. 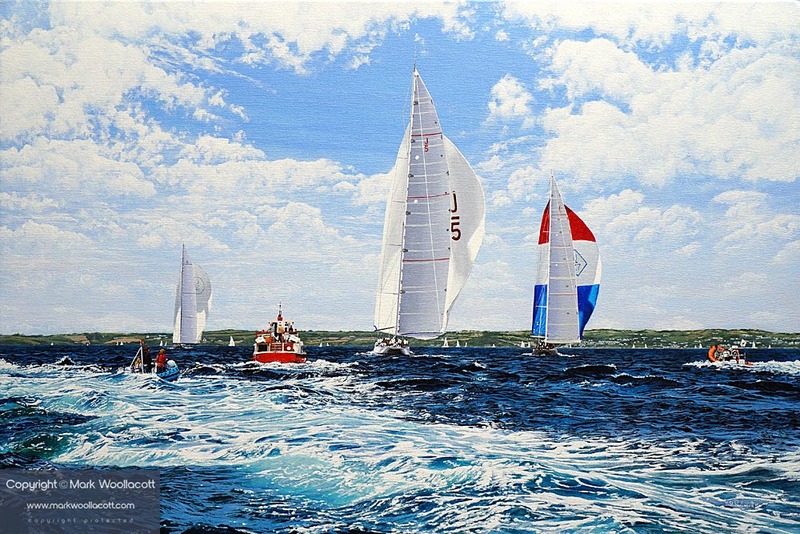 My latest marine painting is of the J Class racing yachts. This large marine painting is available for sale at Echo Beach Gallery, Ilfracombe. Address: 4 Broad Street, Ilfracombe, Devon. EX34 9EE. Closed over the winter period. Open again March 2018. For more information, please contact Red Gallery Director, Micky Middleton. Address: 80 Wyle Cop, Shrewsbury, Shropshire. England. SY1 1UT. Poening hours: Monday to Saturday 10:00—5:00 p.m. Sunday — by appointment. Address: 8 High Street, Windsor, Berkshire. SL4 1LD. Opening hours: Monday to Friday 9:30—5:30 p.m.
2 Myrtle Street, Appledore, North Devon. United Kingdom. EX39 1PH. Opening hours: Tuesday to Saturday 9:30—5:30 p.m. Sunday 11:00—5:00 p.m. Closed on Mondays. Open all year, but winter hours and days may be reduced, so please check current opening times on the gallery's website.